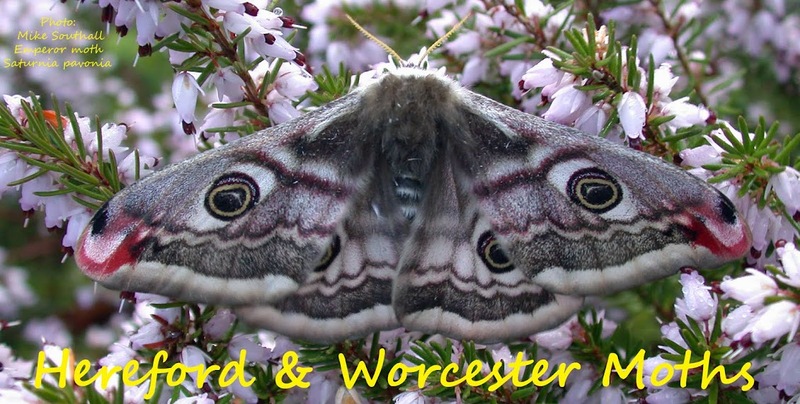 Hereford and Worcester Moths: Halesowen last night. I put the trap out in the garden for the first time last night, mild but breezy, so reasonably pleased with 5 species, although only the usual suspects. It's just nice to see some moths. I had the intention of doing likewise, but then promptly forgot all about it. The bulb blew of my trap last night. Only thing left in the morning was 1 Dotted Border.